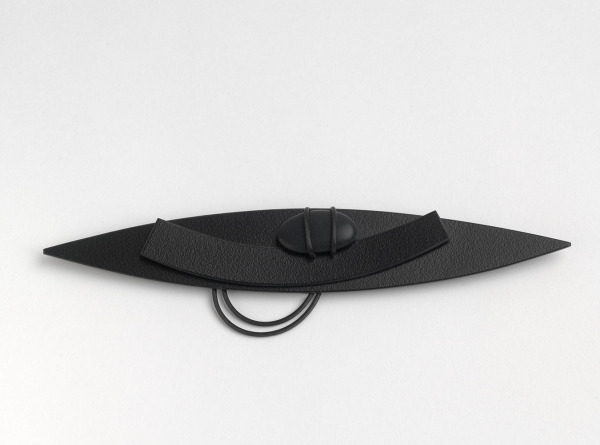 Narrow oval-shaped black brooch, with a black panel and a dark pebble attached to the base. Pebble Brooch, Louise Slater, 1992, Crafts Council Collection: J213. Photo: Todd-White Art Photography.